(Cleveland)- White County Public Safety officials responded to three separate calls on Yonah Mountain over the weekend. Those calls included a lost hiker, an injured hiker who had fallen and a stranded dog. 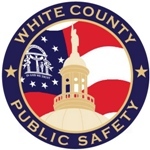 White County Public Safety Spokeswoman Ana Newberry advised in an email, the first call was Saturday evening where a hiker was reported lost on the mountain. Newberry said firefighters responded and located the hiker and assisted him out to the parking area on Chambers Road. According to Newberry the hiker was evaluated by White County EMS personnel but was not transported to the hospital. This search and rescue operation was approximately 3 hours. On Sunday morning, Newberry said E-911 advised fire officials that several hikers on Yonah Mountain saw a dog that was stranded out on a ledge. According to Newberry four personnel from White County Fire Services along with Jessica Tanner with White County Animal Control responded. A firefighter was lowered down a cliff where he secured the dog and both were then hoisted back up. The dog, which was not injured, was placed in the custody of Animal Control. Sunday evening, firefighters from White County with mutual aid from Lee Arrendale firefighters, and White County EMS responded to a report of a high-level fall on Yonah Mountain. Newberry said upon arrival personnel found a male victim that had fallen at the rock steps sustaining an injury to his leg. Responders hiked in about ¼ mile and placed the patient in a stokes basket and brought him out to the awaiting ambulance. Firefighters then assisted in packaging and loading the patient in a waiting ambulance for transport, said Newberry.